Two recent books insist that St. Francis would never have said those words – didn’t say those words – but at the same time lived out their spirit. Arpin-Ricci says “it has been a trying journey thus far,” living in community in Winnipeg’s rough inner city. 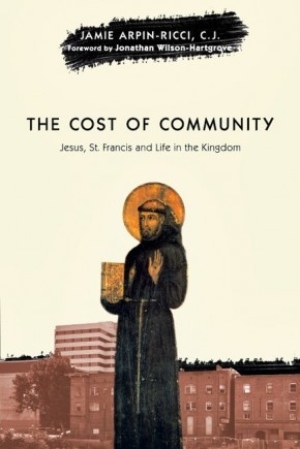 Members of the Little Flowers Community are “slowly and at times clumsily beginning to let [their] lives and ministries be more intentionally shaped and guided by the Sermon on the Mount” – with St. Francis as their guide. Instead, the author insists, he was “on a quest for peace – a peace encompassing both the end of war [Crusades] and the larger spiritual transformation of society.” That is how he found himself in the sultan’s court in Egypt. But his relationship to Islam and the Crusades was distorted or covered up by biographers who wished to stress his saintliness and his desire for martyrdom, and who were eager to curry favour with the powerful medieval popes who organized the Crusades. 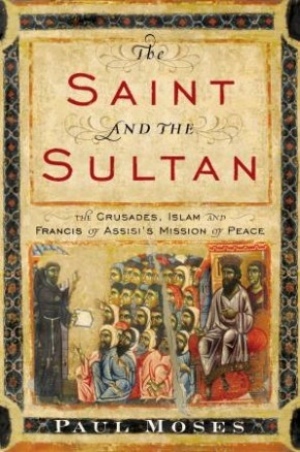 The Saint and the Sultan – which has been well received by both Catholic and Islamic scholars – tells the story of how Francis undertook his daring mission to end the Crusades. In 1219, in the midst of the Fifth Crusade, Francis crossed enemy lines to gain an audience with Malik al-Kamil, the Sultan of Egypt.